Bob H from Gibbstown Stopped in to show us this cooler full of fish from the bay yesterday do you see the size of the croakrs he got and a couple of very nice blues he said it was great fishing. 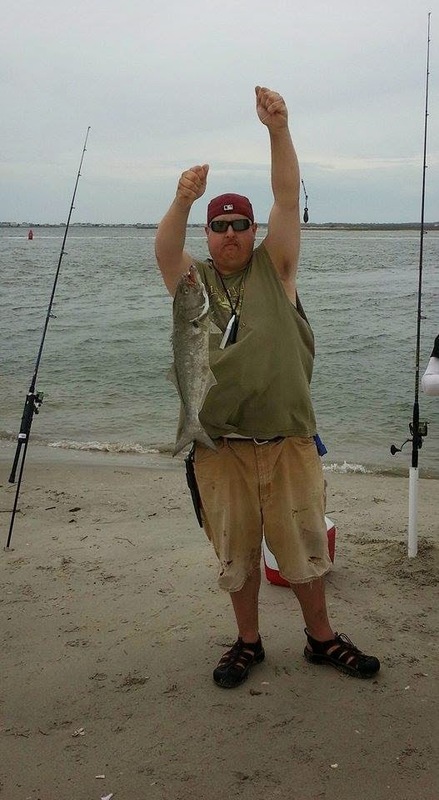 Jon H from Newark De also sent in this picture of a very nice blue fish he took in TI. There are many species of fish in the local waters rite now and plenty of opportunities to have some fun. 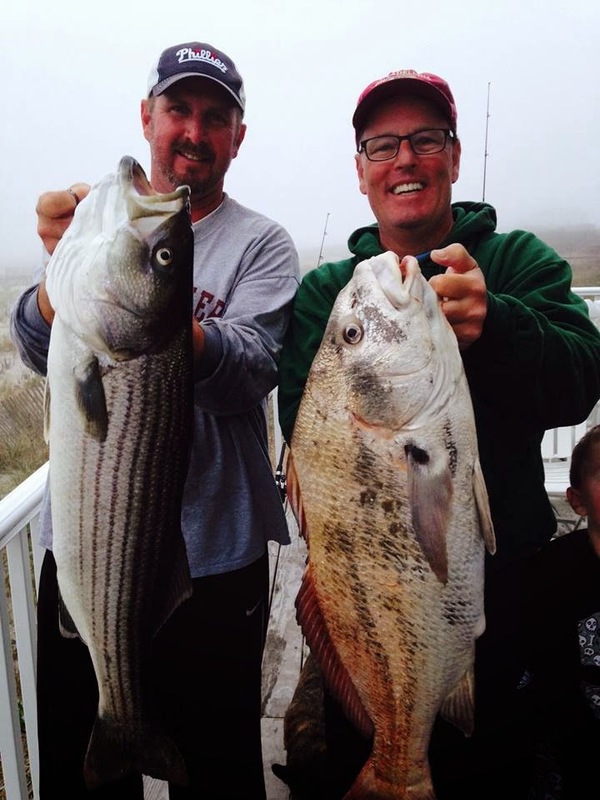 George and his buddy had a good weekend down in Strathmere hooking to some nice Stripers and Drumfish. I’d say the run is about to get into full swing so get out there and do a little fishing. Happy Mothers day!!! 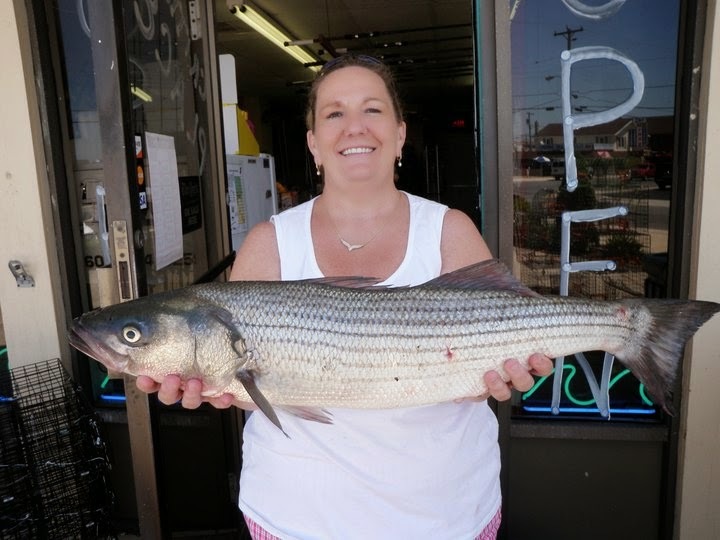 This is my MOM with her first keeper striper. I just want to say thank you to my Mom for getting me into fishing at a young age. So every one out there take your Mom or your wife/kids Mom fishing they will probably out fishing you and need you to bait there hook but the time you spend together will be cherished for ever.